Mickie Lee opened Ahjoomah’s Apron, a Korean restaurant, two months ago just a block from the Red Line Cermak-Chinatown station. 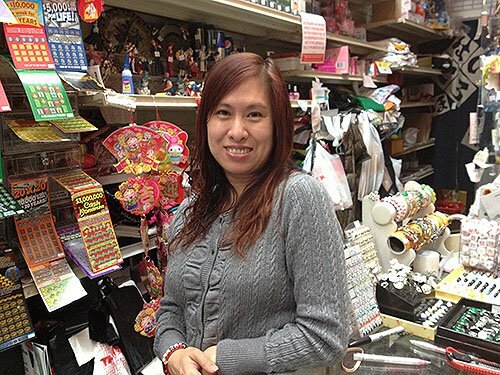 Lee, a member of the Chinatown Business Association, hadn’t heard about the upcoming five-month Red Line South Branch closure, but she is worried about it. She said it will be a problem for her employees, who commute on the train, as well as her customers. Lee is among many South Side business owners and residents trying to find solutions to the shutdown of the Red Line stops, which starts May 19 and is expected to last through at least October. The $425 million construction project will make it harder for thousands of Chinatown businesspeople, residents and visitors to get in and out of the area during the busy summer season. Julie Lam, who owns AJ Housewares and Gifts, also hadn’t heard about the Red Line construction. She said that although she doesn’t use the train, she has customers who do and sees a lot of people getting off at the Cermak-Chinatown stop. She is also worried that the work is going to begin just when her business picks up in May. “June, July, August – those are the best months for us,” Lam said. CTA officials did not return several phone calls asking for comment on the notification to Chinatown businesses about the construction project. Chinatown is a frequent destination for Chicago tourists for culinary tours, walking tours or whose guidebooks suggest wandering around the neighborhood. The Chinatown Chamber of Commerce also offers events over the summer to draw tourists and residents to the area, like the Chinatown Festival and Chinatown Summer Fair, which are both planned for July. Some residents are also concerned about how the closure will impact their commutes to work and school. DePaul University students Kelly Mui, of Bridgeport, and Stephanie Tso, of Logan Square, both rely on the Red Line to get to work near the Sox-35th stop. They said they hadn’t been aware that it would be closed. Mui’s mother also relies on the train to get to and from her job at City Hall. According to the CTA, the closure will affect 80,000 riders on weekdays, 39,000 on Saturdays and 29,000 on Sundays. Chinatown – the Armour Square neighborhood – has 13,391 residents that may be impacted, according to 2010 U.S. Census data. Of that group, 72 percent of residents are Asian-American, and many adjoining communities – like Bridgeport and McKinley Park – are also home to thousands of Asian-Americans, according to WBEZ. This will make the Red Line closure especially difficult for the Chinatown community, said Yanyan Chen, who works at the gift shop Chinatown Bazaar and lives nearby, because there are a lot of people in the area who don’t speak English. But other residents don’t think it’s going to be a problem. Frank Xu, of Bridgeport, works at Hotel Chinatown’s front desk on the weekends. He doesn’t think the Red Line being closed will have much of an impact on the hotel’s guests because most of them take taxis to get to the hotel or to go downtown. “Because the Red Line train is getting fixed from here [south], few of them will go that direction – they always go to the downtown area,” Xu said. 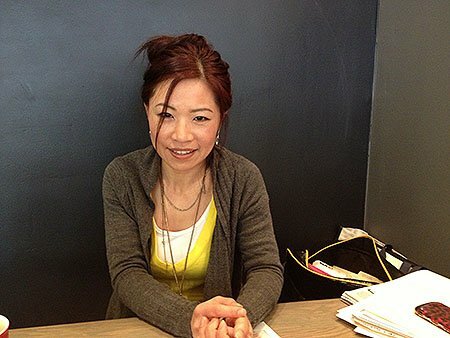 Mickie Lee opened a Korean restaurant in Chinatown just two months ago. The CTA South Branch closure will impact business this summer, she says.